Hope you can find and buy this phone..
Now, a Nokia 6708 (60 series). I'm lucky to have it. Bought it in Venezuela in nov 2006. It is not a very popular phone, so is very hard to find. It's an excellent phone, and you can also use it like a palm (reads word, powrpnt and excel). Excellent sound (very loud)for music files. Great video, music player and recorder quality. It comes with 3 games, but you can install as many as you want(java 2.0 & symbian. Fast and stable internet conection. Remote sync, file manager, calculator, photo-album, voice reconigtion, contacts list, calendar, to-do (work agenda), handwriting recognition, usb cable-infrared and bluetooth conection... you can even use as a remote control for tv's, dvd,s, vcr's, air conditioning, and many more.. 32 mb of memory and a slot to install extra memory up to 2 GB (i already did) The processor is a Texas instruments (TI OMAP processor)same as palms, and Listen to this: It has Dual Cores. This OMAP processor "cleaned Intel's clock, finishing the test in less than one-third the time". It is an unique phone, even better than newer ones. 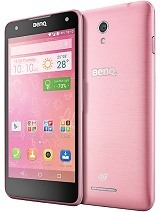 It does not exist in the market a phone like this one, so if you have the chance, don't lose the opportunity. Cheers.. The design looks brilliant,good feauters for a 2 years old phone.Does anybody actually have one,how much internal memory does it have,what's the cpu speed? I recently contacted Benq regarding this ellusive P31. They politely replyed that the design is merely a prototype and is not available anywhere in the world, it is not presented even on their website. I've looking for this great phone since I knew of it, but I have never seen this one in any of the major selling-cellphones websites. I'm really interested on getting this model, I think is great starting from the looking. I actually own several SonyEricsson cellphones and I think this is a great option for a non SE unit. If anyone knows where could I buy it, please leave a post here. Thank you!. Does this phone acually exist? I have been looking for one for sometime now, and cannot locate a dealer anywhere in the world, lt alone th UK. this phone will never come out under BenQ, now it is reincarnated as Nokia 6708. 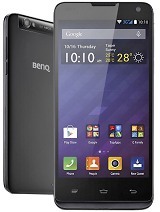 For poster #1, the BenQ P31 has existed long before Nokia gave us the 3230 :) So BenQ did not "rip off" Nokia on this one. is it me or is it just a rip off the Nokia 3230 in design and features ! big screeen design had remembered us s700i but it has a difference from all other big screen phones. Total of 61 user reviews and opinions for BenQ P31.